Egypt’s prime minister has warned the violent clashes between Coptic Christians and security forces which left 25 people dead threatened to derail the country’s post-Mubarak transition to democracy. ­"Instead of advancing to build a modern state of democratic principles, we are back searching for security and stability, worrying that there are hidden hands, both domestic and foreign, seeking to obstruct the will of Egyptians in establishing a democracy," PM Essam Sharaf said on state television Monday, as cited by Reuters. His comments came following the worst violence seen since the country was gripped by revolution last February. 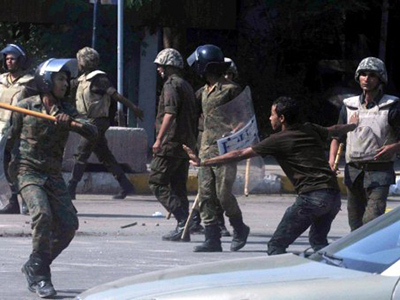 According to different reports between 26 and 36 people were killed and 272 wounded after violent clashes between Coptic Christians and military police erupted on Sunday. 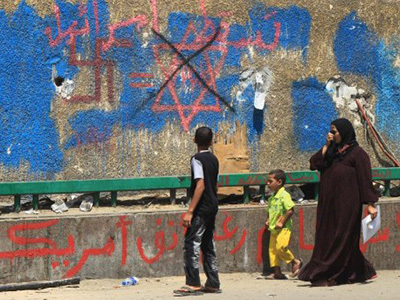 The Christian Copts were protesting against a recent attack on a church. According to Associated Press, the Copts say that their rally began as a peaceful sit-in near the state television building by the Nile. The demonstration soon turned violent, however, after the protesters were attacked by – in their words – some “thugs” who were throwing stones and firing pellets at them. 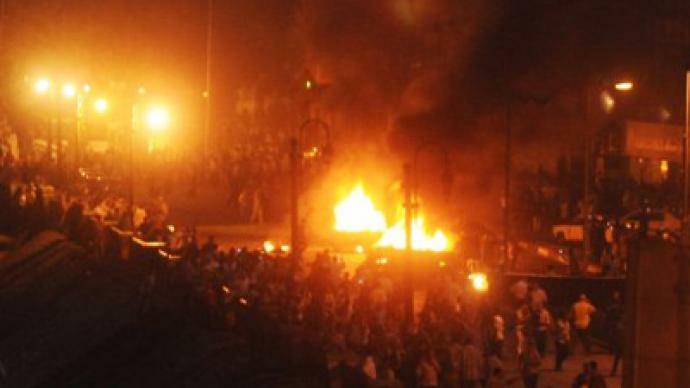 The clashes eventually reached the famous Tahrir Square, by which time thousands had become involved, attacking each other with sticks, stones and firebombs. 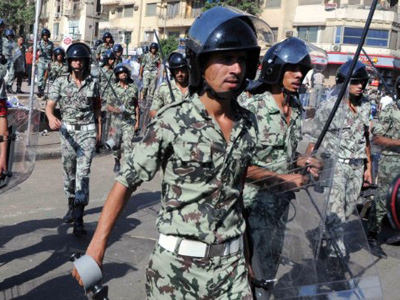 Protesters reportedly snatched arms from soldiers and directed them against the security forces. 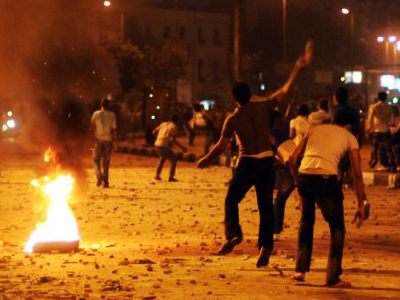 Among the injured are government military troops, who the protesters reportedly fired at. The city’s hospitals are crowded with dozens of injured, many with bullet wounds. 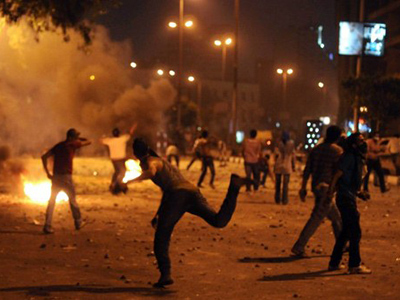 A curfew has been imposed on downtown Cairo, including Tahrir Square. Christian protesters are accusing the country’s military of being lenient on anti-Christian attacks, which are on the increase across Egypt. Several days ago a Christian church, which had reportedly been built illegally, was destroyed and partly burned south of the city of Luxor. The country’s Christian community, which constitutes 10 per cent of the Egyptian population, is said to be concerned with the rise of ultra-conservative Islamists in the country. According to Mark Almond from the Bilkent University in Turkey, the unrest shows that Egypt, as a secular state, is under threat.